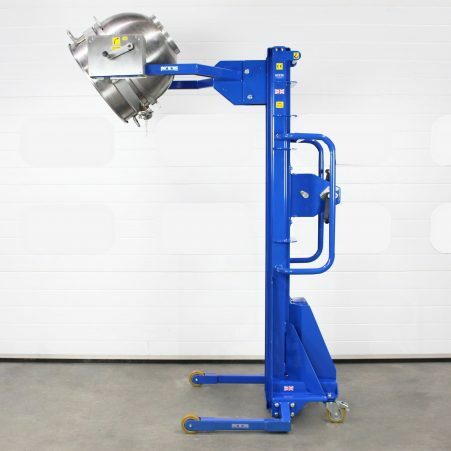 Our range of drum tippers provides the ability to both lift and tip various drum types and sizes in an efficient and safe manner. Explore the many optional features and customise a drum rotator to suit your requirements. Manual-hydraulic drum rotator for lifting and tipping drums and barrels. Ergonomic, adjustable and easy to use. Our electric Universal Drum Rotator is great for all sectors of industry, letting you lift and tip a wide range of drum types and sizes. Advanced pneumatic-hydraulic drum tipper for zoned hazardous areas. A highly efficient way to handle drums in an ATEX production facility. Reduce manual handling and increase efficiency. Our battery-hydraulic power clamp drum lifter and tipper handles all drum types and sizes. Power Clamp Drum Rotator suitable for a wide variety of drum types and sizes. Electric (non-ATEX) or pneumatic (ATEX) models are available. Increase manufacturing efficiency with a power drive drum handler. The unique tiller arrangement offers responsive steering and powerful drive functions. 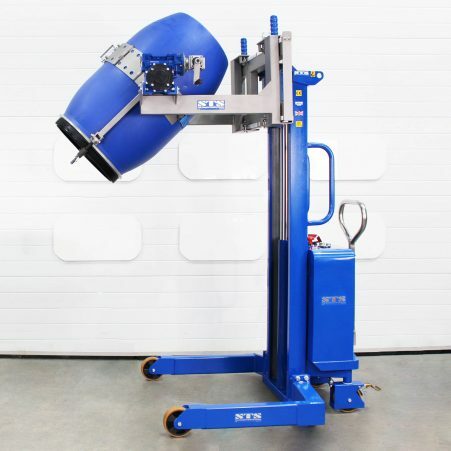 Our lightweight Bowl Rotator allows you to lift and tip small drums and bowls with ease, and is available in manual, electric or pneumatic models. 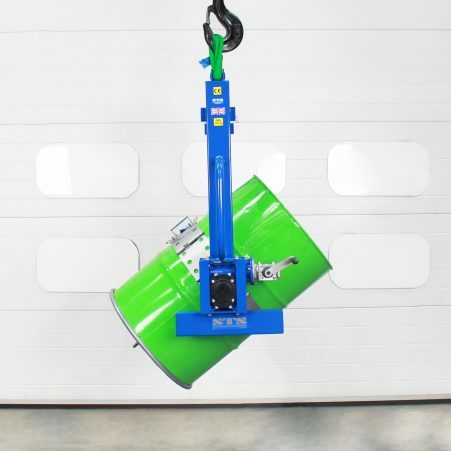 Compatible with both overhead cranes and forklifts, and featuring our universal drum band. A stainless steel model can be ATEX certified for zoned areas. 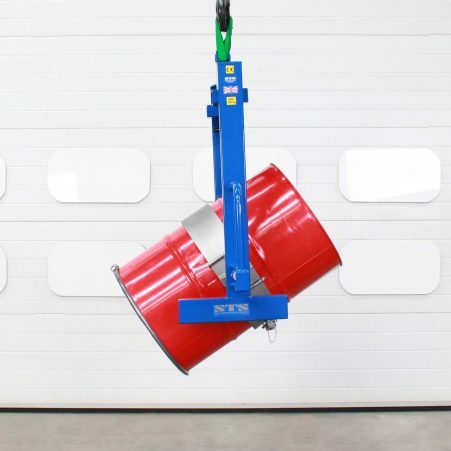 Lift and pour drums from height using a crane, derrick or forklift truck. The over-centre clamp is fast, secure and suitable for large drum sizes.